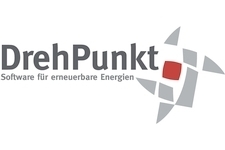 DrehPunkt has been established for more than 10 years. Please find a brief summary of our corporate history below. Stephan Thiemann and Tino Korth found DrehPunkt GbR in September. Equipped with a vision, a few printed sheets and full of enthusiasm, we visit our first Husum Wind fair. Here we are able to convince a number of works managers of our concept immediately. After only three months we are able to provide the very first version of ROTORsoft to our first customer wind 7 AG from Eckernförde. The range of functions: automatic data reading, three implemented evaluations and furthermore the precursor of our log was already working. Year of the "function explosion". Week by week we are able to implement new functions in ROTORsoft, which convinces more and more customers to work with our product. In 2006 we rebrand DrehPunkt GbR to DrehPunkt GmbH in order to better meet our customers' requirements. Stephan Thiemann and Tino Korth remain executive partners. In addition to wind turbines and solar collectors, we connect with our first biogas plant as well as a hydroelectric power station. Another major event for us at DrehPunkt is the relocation of our company from the "RIGZ - Rostocker Innovations- und GründerZentrum" in southern Rostock to the "TZW - TechnologieZentrum Warnemünde". From now on our customers have to get used to the sound of crying seagulls on the phone. In 2007 we also become a training company - our first trainee starts his apprenticeships as an IT specialist for application development. From now onwards, we offer one trainee position per year. ROTORsoft goes online: The test offshore installation at Rostock Breitling is a premiere for Nordex as well as DrehPunkt - it is the origin our first online data. "Windstärke 11" becomes the new lead sponsor of football club FC Hansa Rostock - DrehPunkt is proud to be part of "Windstärke 11". Due to the reformulation of the feed-in law in Germany, a new era in the history of ROTORsoft begins. We develop the first version of our ROTORsoft PowerLimiter that allows us not only to read the data of wind turbines but also to start and stop it, which provides a new opportunity for our customers to telecontrol their installations. Hydrogen is traded to be the energy carrier of the future. We now provide an automatic control system for the WIND-WASSERSTOFF-projekt GmbH as part of the hydrogen project Werder/Kessin/Altentreptow. At the Husum WindEnergy fair we present the first version of the ROTORsoft follow-up: ROTORsoft 2. Due to the integration of latest technologies, ROTORsoft 2 introduces a new era. Throughout positive reviews of our customers encourage us to take a big step into the redevelopment of ROTORsoft. In order to meet the requirements of direct marketing of electricity, we extend our ROTORsoft PowerLimiter to an allrounder tool. Now random agents may send control inquiries to wind turbines. We made it: It's DrehPunkt's 10th anniversary! With a maritime birthday party on a sailing ship, we say thank you to all our customers for the great cooperation, their trust and their loyality. After having started this business with two people, their are 35 people working for DrehPunkt by now, who are happy to find customer solutions every day. In the beginning, we didn't even dream of having five employees - which goes to show you never know. We intensely work on the advancement of ROTORsoft 2 - keyboards as well as coffee machines run at full speed! Together with the "WuF", Windenergie und Flugsicherheit GmbH, we develop the "FlightManager" software as a ROTORsoft extension. Using "FlightManager", the German Army is able to turn off entire wind farms in the exact moment their airspace control radar is being disturbed. the year of "All IP". Deutsche Telekom gradually switches all analogue and ISDN connections to mere internet connections - a solution is needed. We developed a solution that our customers can insert themselves via plug & play. ... and the DrehPunkt story goes on. We would like to thank all our customers, who contribute their ideas, suggestions and also criticism so that we can work for them enthusiastically every day.